Myth – Individuals with autism have no feelings. Fact – Individuals with autism certainly do not lack feelings, what is difficult is expressing them. Individuals with autism often lack the ability to express their feelings appropriately, but they feel happiness, sadness, and excitement just like anyone else. Myth – Individuals with autism prefer to be by themselves. Fact – Individuals with autism have the same desire to interact and socialize with their peers just as anyone else, but may lack some skills to effectively carry on social interactions. Myth – Individuals with autism cannot learn social skills. Fact – Individuals with autism certainly learn social skills, it just may take more time and more individualized training than others. Myth – Individuals with autism are very similar to each other. Fact – While they may have some diagnostic features in common, each individual with autism is quite unique and different from another. Each individual with autism is differ from each other just as all people do. Myth – Individuals with autism are unable to contribute to the community. Fact -Individuals with autism actively participate in the community on a daily basis and are capable of doing so many different things that contribute to the well being of themselves and their community. These are just a few of the many myths about Autism. 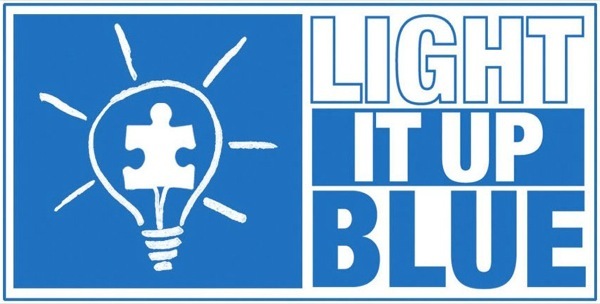 Individual’s with Autism are very special and unique individuals with so many different skills that they can use to contribute to the community and their own general well-being. 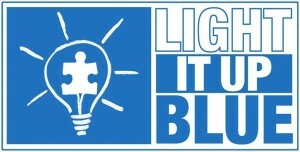 Remember to wear blue to show your support for Autism Awareness Month!